The 2018 World Cup will certainly be the very first of its kind. The most watched sporting event in the world has never taken place over such a vast land mass before – and that’s with the host cities only being located in the western half of Russia! Spanning an area about the size of all of western Europe, the 11 Russian World Cup host cities each offer a distinct perspective into the country. What’s more, the Russian government is granting free train tickets between host cities for match ticket holders! Browse the map below to get a feel for the scope of the 2018 World Cup, and read on to learn about the unique features of each host city. 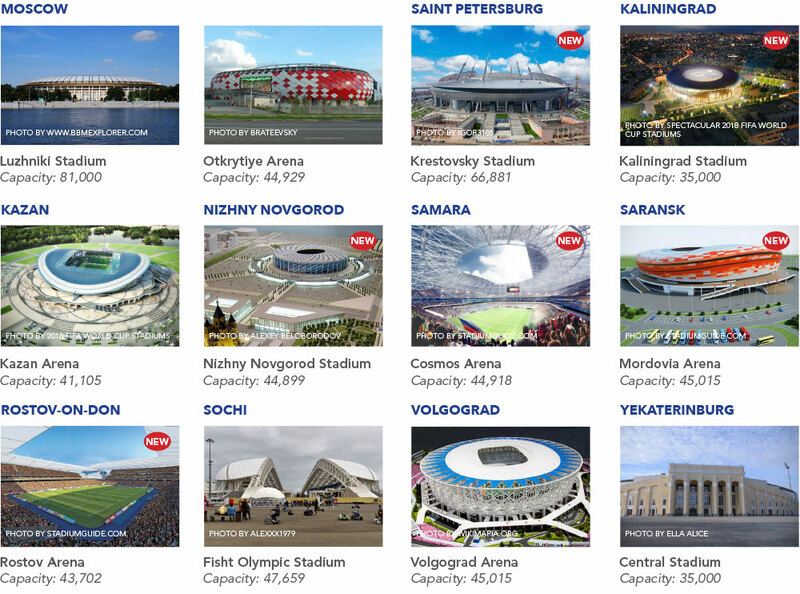 Read the specs about each of the Russia World Cup stadiums on our blog. The Kremlin wall along the Moskva river banks. Image source. Russia’s federal capital and the largest city in Europe, the legendary city of Moscow should be a top destination for every travel bucket list. This sprawling metropolis is home to 16.8 million people as well as some of Europe’s richest cultural sites. With orthodox cathedrals dating back to the 16th century, modern sky scrapers, and many of the Soviet Union’s most impressive architectural feats, the Moscow skyline is a whirlwind through history. A unique blend of Asian and European, Moscow truly has something for everyone. Vibrant bar, restaurant, and club scenes; underground artists, poets, and musicians; world renowned theaters, ballets, and operas; haute couture shopping malls and bustling flea markets; sprawling parks and gardens as well as impressive athletic arenas; banking, oil, politics, and a rich history of revolution. Moscow is sure to be an exciting locale for the main events of the tournament. Traveling to and around Moscow is relatively easy. With two international airports and an incredibly reliable (and famously beautiful) underground metro, Moscow is excellent for travelers. 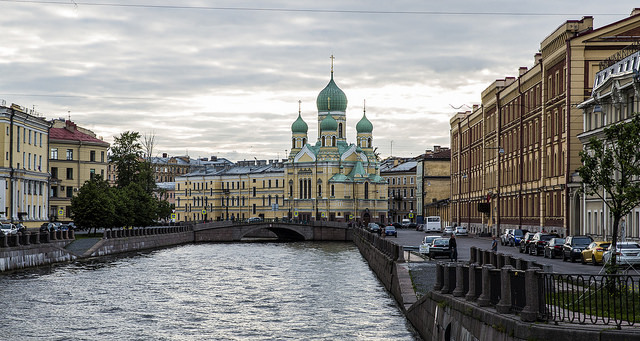 With canals running through the city and baroque style buildings, St. Petersburg is often likened to Venice. Image source. Known to many as the “Window to the West,” Saint Petersburg is one of Russia’s most beautiful cities. 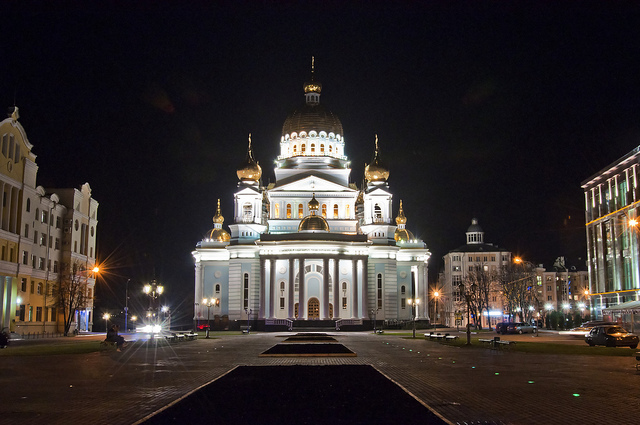 Home to and inspiration for countless poets, writers, and artists, Peter (as the locals call it) possesses some of Russia’s greatest historical treasures, including the Hermitage palace and museum, and several of Eastern Orthodoxy’s most famous cathedrals. Threaded with canals traversed by quaint bridges and lined with baroque buildings, Russia’s second largest city is also its most cosmopolitan and European. It is no wonder that Russian royalty chose Peter as the site for their palaces. This is a city as haunting and beautiful as the Russian soul. With a temperate climate and coastal access, Sochi is the premiere resort destination of Russia. Image source. You probably remember Sochi from the 2014 Winter Olympics. Situated on the Black Sea, Sochi is Russia’s premier resort city. While the majority of the population is comprised of ethnic Russians, Sochi is home to a sizable Armenian minority. Having hosted so many sporting events as well as serving as Russia’s favorite vacation destination, Sochi boasts many attractions for tourists. Visitors will find plentiful nightlife, museums, restaurants, and wildlife expeditions. The Sochi area is filled with waterfalls and offers excellent hiking. With 16 universities in the cities, Ekaterinburg is considered one of the youngest and hippest cities in Russia. Image source. The eastern most city in which World Cup matches will be held, Ekaterinburg sits in the Ural Mountains on the border of Europe and Asia. Ekaterinburg has a rich and complicated history. The fourth largest city in Russia, it was founded in 1723 by Peter the Great in honor of his wife, and used as the place of exile for Tsar Nicholas and his family during the Bolshevik revolution. During the Soviet Union, Ekaterinburg was renamed Sverdlovsk and served as an industrial and transportation hub. 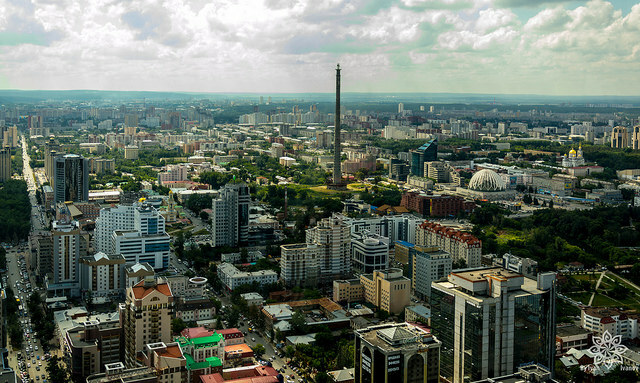 In contemporary times, Ekaterinburg is a regional favorite among Russians and visitors alike. Home to 16 universities, Ekaterinburg boasts thriving art, music, theater, and comedy scenes. The Ekaterinburg underground Metro is among the easiest and fastest in the world, if only for its size. Consisting of just one line with 9 stops, passengers can travel from one end of the city to the other in 20 minutes. Through diverse architecture, this city wears its complex history on its sleeve. Image source. The capital city of the Mordovic Republic of Russia, Saransk is a small city of about 300,000 people located in the Volga basin. Saransk is uniquely Russian in that it possesses a distinctive architectural mix of classic and soviet styles. Lenin iconography, orthodox churches, soviet bloc apartments, and ornate mosques all exist side-by-side. Saransk is also famous among Russians for race walking, or speedwalking. The country’s Olympic training center for the sport is located in Saransk and has produced some of Russia’s top performing athletes in race walking. Some of eastern Europe’s more up-and-coming tech talent calls Rostov-on-Don home. Image source. Rostov-on-Don sits near the Sea of Azov on the Don River delta. An important port city for Russia, Rostov-on-Don’s economic prominence over the past few centuries has led it to become a bustling, modern technology hub. The city is home to many of Russia’s top universities and is a popular city for startups. One of the most beautiful and ethnically diverse cities in Russia, Kazan is a must-see for travelers. Image source. Kazan is known among nationals as one of Russia’s most beautiful cities, and it is a perfect example of the country’s cultural and religious diversity. 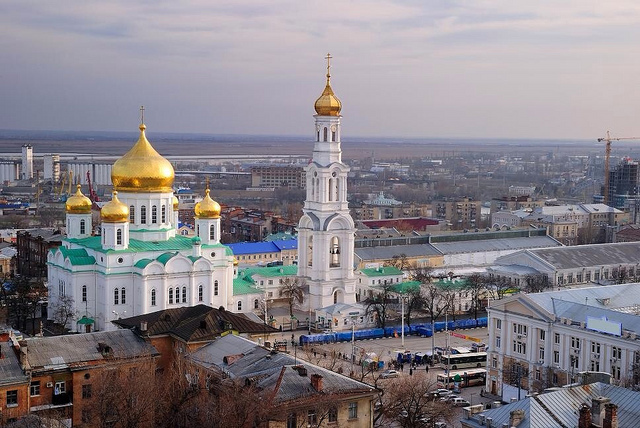 Both Tartar and Russian are spoken widely here, and the city is home to gorgeous mosques and cathedrals. The capital of the republic of Tartarstan, Kazan is a regional sports and tourism capital as well. Kazan has hosted numerous international tournaments, including fencing, hockey, and aquatics. This exclave and port city still features German architecture from before WWII. Image source. 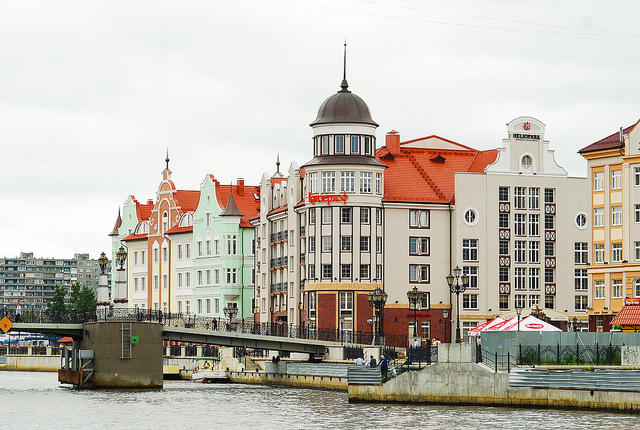 A Russian exclave situated between Poland and Lithuania on the Baltic Sea, Kaliningrad came to be part of the Russia after the German defeat in World War II. Though today the Kaliningrad Oblast is inhabited mostly by Russians, the geographic situation of this area makes for a long history of cultural crossroads. While virtually no ethnic Germans remain in the area, much of the old German architecture has been preserved or restored and exists alongside Soviet-era and modern buildings. Kaliningrad is home to excellent fishing as well as 90% of the earth’s natural amber deposits. The city creates fine jewelry from this precious stone, and boasts a museum dedicated to amber as well. 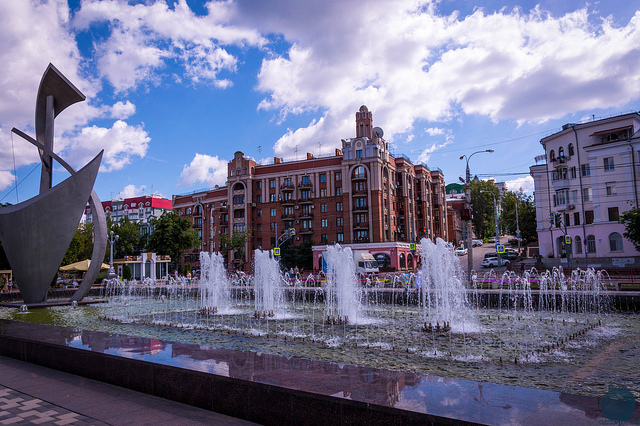 With a booming aviation industry, Samara has a vibrant economy and lots of public attractions. Image source. Originally founded as a fortress on the Volga, Samara is the space and aviation capital of Russia. Having contributed hugely to the Soviet efforts in the Space Race, the Kuibyshev Aviation Institute located in Samara was closed to foreigners until the collapse of the Soviet Union. Now that it is open to the public, it gives tourists a unique opportunity to learn about some of the biggest advancements ever made in aerospace technology. Besides the Aviation Institute, Samara offers beautiful beaches along the Volga and plenty of charming old-timey buildings contrasted with Soviet monuments and architecture. 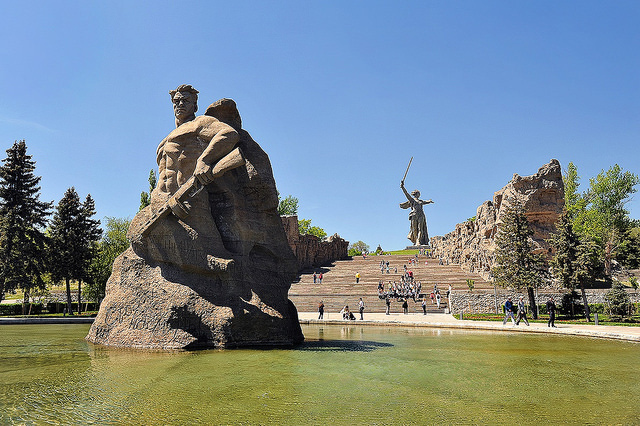 Volgograd is home to many moving WWII memorials and a museum dedicated to the Battle of Stalingrad. Image source. Known as first as Tsaritsyn and then as Stalingrad, Volgograd has long been coveted by ruling powers for its geographic importance for trade. Situated on the bank of the Volga river and one of the most important industrial hubs in Russia, today the city is home to over a million people. Volgograd is famous for the Battle of Stalingrad during World War II, which is considered the longest and bloodiest battle in the history of human warfare. History buffs are sure to find plenty of interesting monuments and relics. The forests surrounding Nizhny Novgorod are largely undeveloped, making this city one of the greenest of the World Cup host cities. Image source. 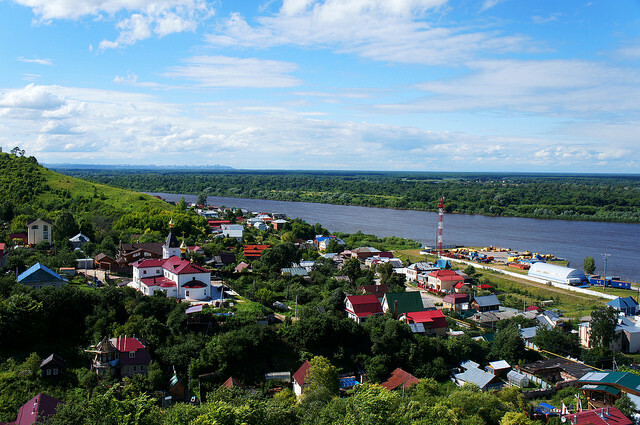 Russia’s fifth largest city, Nizhny Novgorod’s name translates to Lower Newtown. The locals refer to their hometown as Nizhny, which distinguishes it from another Russian city, simply called Novgorod. 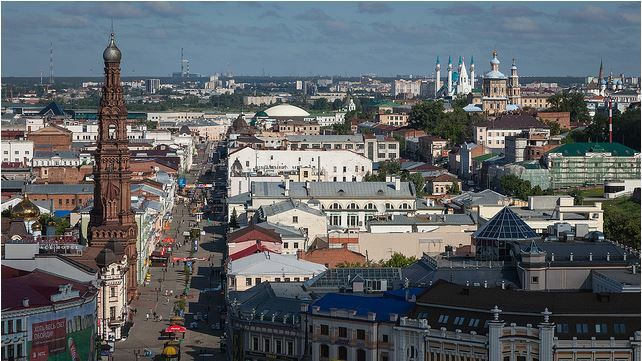 Nizhny is Russia’s IT capital, with many software and engineering firms holding residence within the city. The city skyline is dominated by a famous Kremlin wall, but Nizhny also features some of Russia’s most famous monasteries and cathedrals. Currently underway is a brand new soccer stadium for the World Cup.